A significant problem for architects is lack of support they receive when including specific products in their designs. When you work with Cover Glass, USA, this is never the case. We are available at all times to the architects who want to include our folding glass doors in their vision. In fact, there are numerous reasons why architects working on all types of projects love collaborating with us. 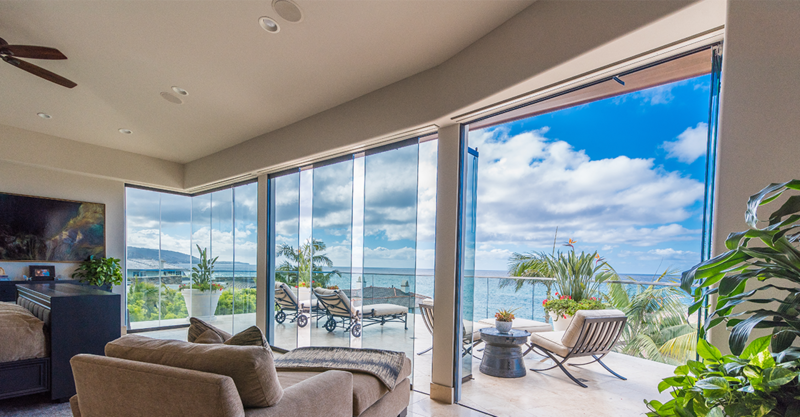 When you choose Cover Glass for your sliding glass doors, you’ll receive a Southern California architect partner. We bring our knowledge and experience of working with many architects like you to help you see your projects come to life -- assisting you to overcome challenges, providing you with advice, and offering you suggestions every step of the way. We are extremely hands-on in the design process, allowing us to ensure that the final result is up to your standards. As we are the glass system manufacturer, we work with you from the very beginning and continue supporting you to the end, keeping you on the right on track to meet your design aims and prevent problems with clients. By providing you with CAD drawings, we can resolve even the most complicated design challenges. You’ll receive CAD drawings from the start, meaning there will be no need to make any changes at a later date to fit the Cover Glass system into your design. To receive your CAD drawings, click here. It is often the case that architects need to work with multiple trades for a single spec product. With Cover Glass, architects appreciate that they only need to work with us for their sliding glass doors. We will never refer you to a third-party representative. Ever more architects want to bring their clients the latest in terms of products and design. A Cover Glass system helps you achieve this through modern, high-performing, flexible designs. Feature stacking panels; even if you want a door to span many feet, the glass will be able to open completely, and the panels will take up minimal space. Allow you to choose where the panels stack — inside or outside — depending on what is the better fit for your design. Use unbreakable glass, five times stronger than regular glass. Eliminate tripping hazards by having a flush bottom track. Utilize a secure locking system. For instance, the door only opens from the inside (unless you specify otherwise) and the panels are impossible to push off their tracks. Are available in four glass color options. We will help you choose the right product and features to maximize space, enhance views, and complement other aspects of your design. We are always available to support you in completing your design. As well as providing CAD drawings whenever you need them, we offer spec sheets and will even meet with you to discuss any wants, needs, or concerns. We understand that some projects take far longer than others, especially when there are many small details to take care of. We will work for you as long as you need to ensure that your plans reflect the idea that you envisioned. Instead of working with a frameless glass system manufacturer and separate third-parties to fit sliding glass doors into your design, choose a Southern California architect partner. You’ll gain better, faster results and satisfied clients.